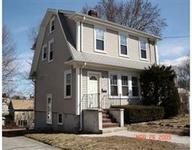 Totally Renovated interior in this Dazzling 3 Bedroom Colonial. Granite and Stainless Kitchen, Fireplaced Living Room, All New Windows,Bathrooms, Woodwork,Recessed Lighting, Electrical. Hardwood floors throughout with 9' ceilings and period woodwork make this a bright and airy home. Large yard with deck off the kitchen to enjoy your morning coffee. Located in the Lowell School District this home is a Must See!